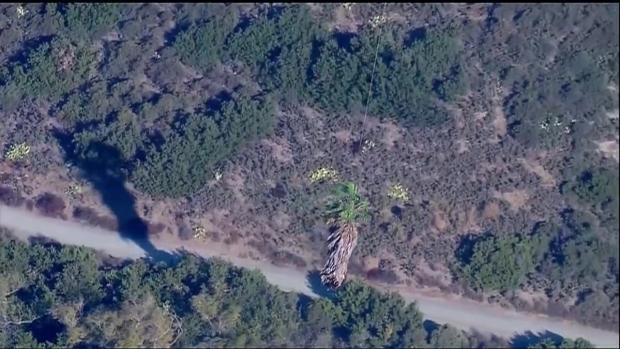 A helicopter will be removing more than 80 palm trees from Rice Canyon in Chula Vista Friday. The Mexican Fan palm trees, which can grow to 60 feet, hinder the growth of native plants, city officials said. Crews began cutting the invasive trees Monday. 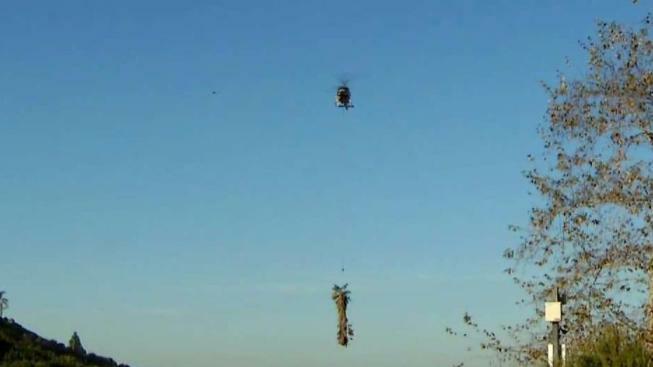 Now, the helicopter will pick up the trees one at a time and take them to an area where they can be properly disposed. Residents of Rancho del Rey Parkway may notice the noise of the helicopter until 4 p.m., officials said.